Don’t miss your chance to see artist Mark Buck’s fine art collection of over twenty original pieces from 1987 to 2017. Mark is the former curator and owner of both First Impressions Gallery (1982-1991) and Artalog Inc.(1993-1995). Artwork displayed will also be available for purchase. Mark Buck’s Exhibition will be in Studio 107, June 6 – 15. Visit https://markbuck.art for more information. 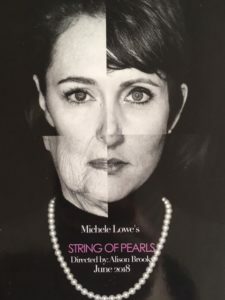 Canadian actor Alison Brooks makes her directorial debut with the first Canadian theatrical performance of Michele Lowe’s award winning play, String of Pearls presented by Labour of Love. Audience members are taken on an intimate journey from 1960s to present day as Rebecca Amzallag, Alison Brooks, Jeanette Cairns, and Hannah Gallant play 27 women who share their stories through rich monologues. String of Pearls will be performed June 7 – 10 and 14 – 16 at 8pm, in Studio 106. Tickets are $20. 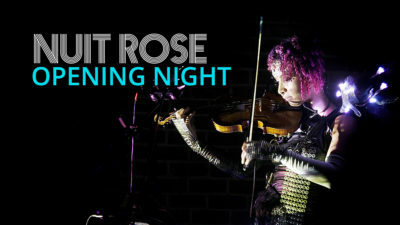 We’re thrilled to welcome back NUIT ROSE, a FREE annual festival of queer-focused art and performance. This year they are bringing the theme UNBOUND, and are showing their incredible group exhibition from June 13 – 23 on all three hallway galleries in our building. Come hang out with the DJ and check out musical performances at the FREE opening party on Wednesday June 13 at 7pm. Be sure to check out the Facebook event and visit their website for more info on their other events during the festival. 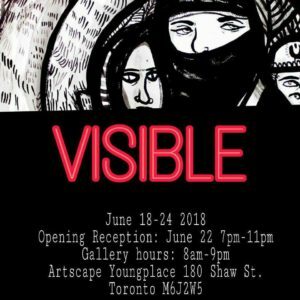 VISIBLE is a week-long art and spoken word show led by artist Jesse H. This exhibition will be about messages behind art and having spaces to be visible. The opening reception will be on Friday June 22, 7-11pm, and the show will be open 8am – 9pm in Studio 107 from June 18-24. 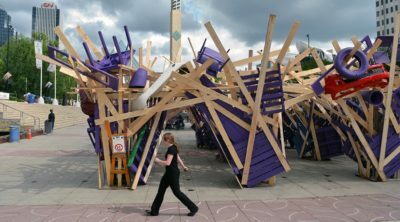 Koffler Gallery is kicking off their summer by welcoming Argentinian-born Québec-based artist José Luis Torres for “Question d’adaptation,” a sculptural installation about the experience of migration curated by Mona Filip. This exhibition will also feature an Artist & Curator Talk on Sunday, June 24 at 2pm (program in French). Be sure to also check out the FREE opening reception on Thursday, June 21 from 6-9. Koffler Gallery is located on the first floor AYP, and is open Tuesdays to Fridays at 12 PM – 6 PM, and Saturdays & Sundays at 11 AM – 5 PM. “Question d’adaptation” will be exhibited from June 21 to August 26, 2018. 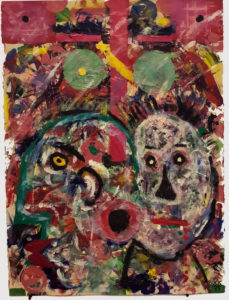 Pictured above: José Luis Torres, Mutations, (2015). Visit Koffler’s website for more information. Want your event to be featured? Visit http://artscapeyoungplace.ca/events/community/add to add your event to our calendar.